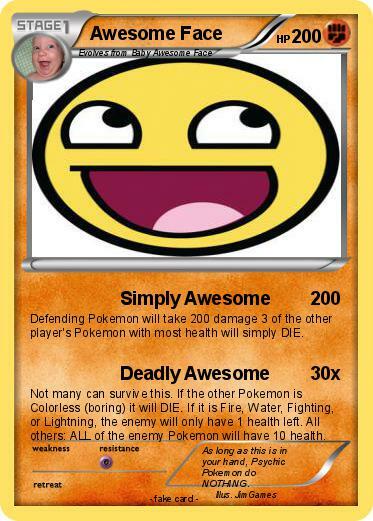 Defending Pokemon will take 200 damage 3 of the other player's Pokemon with most health will simply DIE. Not many can survive this. If the other Pokemon is Colorless (boring) it will DIE. If it is Fire, Water, Fighting, or Lightning, the enemy will only have 1 health left. All others: ALL of the enemy Pokemon will have 10 health. Comments : As long as this is in your hand, Psychic Pokemon do NOTHING.